Play 10 new Microgaming & Play'n Go Bitcoin slots free! Announcing the addition of 10 more free slots from the developers Microgaming and Play’n Go on our website for you to try out with absolutely no obligation to you. We think you will agree that they will provide you with many hours of entertainment. 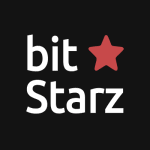 To play for Bitcoins you will also find casino links where these games can be found. 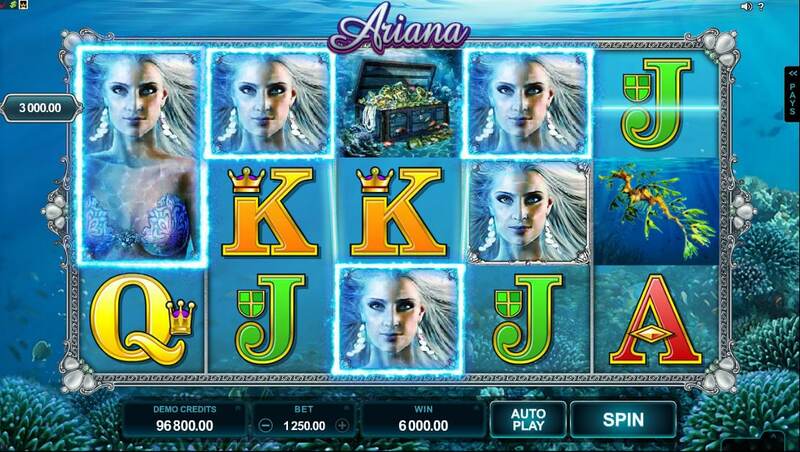 Ariana is the 5-reel and 25 paylines mermaid themed slot where you dive into an ocean of winning opportunities that could lead to a jackpot of 300,000 coins. Ariana acts as the wild symbol, and pink starfish scatter symbols offer you a chance of up to 15 free spins that can be re-triggered during the game. Play Ariana Bitcoin slot for free. 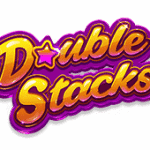 Following in the footsteps of Break Da Bank comes the 5-reels and 9 paylines slot Break Da Bank Again where the wealth related theme offers you a chance to pile up the riches! With wilds, up to 25 free spins and a gamble feature you have the makings for a superb game with the opportunity to win up to 375,000 coins! 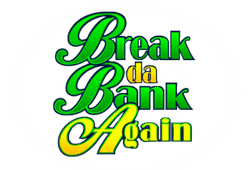 Play Break Da Bank Again Bitcoin slot for free. The answer to the legendary 007, Agent Jane Blonde is a great spy themed slot that offers you the chance at up to 10,000 coins. To help you on your way, you have the wild symbol that acts as a 2x multiplier when forming part of a winning combination. Enjoy 15 free spins with a 3x multiplier when you land 3 scatter symbols which can be re-triggered during play. Play Agent Jane Blonde Bitcoin slot for free. For all you crazed hockey fans, Break Away is an ice hockey themed slot with 5-reels and 243 ways to win. 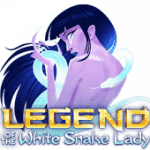 You can win up to 1,000,000 coins with the help of wild symbols and scatter symbols that can offer you up to 25 free spins and up to a 10x multiplier. 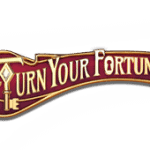 Play the gamble feature for a chance at topping up your winnings. Play Break Away Bitcoin slot for free. Play Adventure Palace Bitcoin slot for free. Rumble in the jungle with the 5-reel and 9 paylines slot Adventure Palace which gives you a shot of winning up to 150,000 coins. 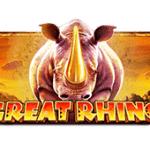 You will find elephant wilds with 2x multiplier and jungle scene scatter symbols that unlock 15 free spins with a 3x multiplier. Guess the colour of the next card for a chance at doubling your winnings. 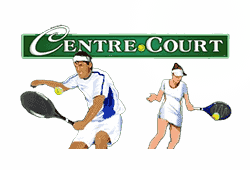 Wimbledon tennis tournament fans can rejoice with this tennis themed 5-reel and 9 paylines slot Centre Court where you can smash your way with up to 450,000 coins. A golden trophy acts as a wild and is sure to bring you more prizes. Be awarded 18 free spins with up to a 5x multiplier with stacked wilds for even more prizes when you land 3 or more scatters. Top it all off with the gamble feature. Play Centre Court Bitcoin slot for free. The 5-reel and 243 ways to win slot Burning Desire is sizzling with great features all designed to help you win up to the maximum jackpot of 90,000 coins. 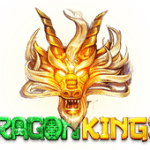 The burning design logo is wild and will help you to create winning paylines and three or more golden coins will unlock the 15 free spins feature with a 3x multiplier. 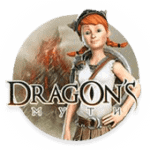 Play Burning Desire Bitcoin slot for free. Based on the succesful movie Bridesmaids comes the branded 5-reels and 40 paylines slot offering a chance at the 105,000 coins jackpot. 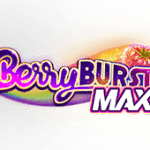 This game offers a range of features including the game logo wild symbol and pink cupcake scatter symbol, which activates the bonus wheel. 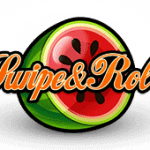 Once spun, the bonus wheel offers 10 free spins and additional features! Play Bridesmaids Bitcoin slot for free. The king is out to build castles for each of his daughters and you get to help him in the interactive 5-reel and 15 paylines slot Castle Builder. This highly addictive game can see you winning the 20,000 coins jackpot! To help you on your way, the architect acts as wild and the building material packages is a scatter symbol, which offers you building blocks when at least two appear. 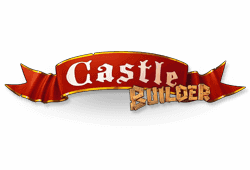 Play Castle Builder Bitcoin slot for free. Rich Wild is on another great adventure in India to collect riches on the 5-reel and 20 paylines slot with a jackpot size of 1,000,000 coins. 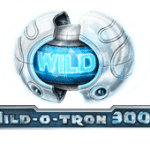 The Rich Wilde symbol will act as a wild symbol appearing on the middle reel. Collect three pearls to trigger the 10 free spins round and collect 25 temple icons for one of 3 bonus rounds! Play Pearls of India Bitcoin slot for free.